Florida Living Will: What Is It? A Florida living will documents how you want your medical care to be handled if you are unable to voice your desires for your own care. A Florida living will can take many forms, but must be witnessed by two adults. One of your witnesses should not be your spouse or related to you by blood or adoption. Your witnesses cannot be named as your healthcare surrogate and must be at least 18 years old. § 765.303: There is no set style for a Florida living will although the law suggests a form to use. 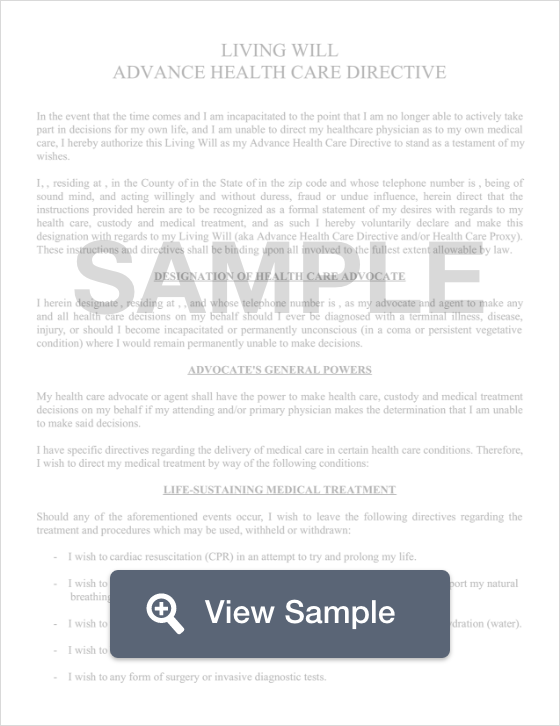 You also have the right to name an alternative surrogate within the document. This person will assume the role of the healthcare surrogate if they are unwilling or unable to fulfill the role. A living will only addresses medical care. It does not address assets or allow you to name a guardian for minor children. To do those things, you need to create a Florida Last Will and Testament.